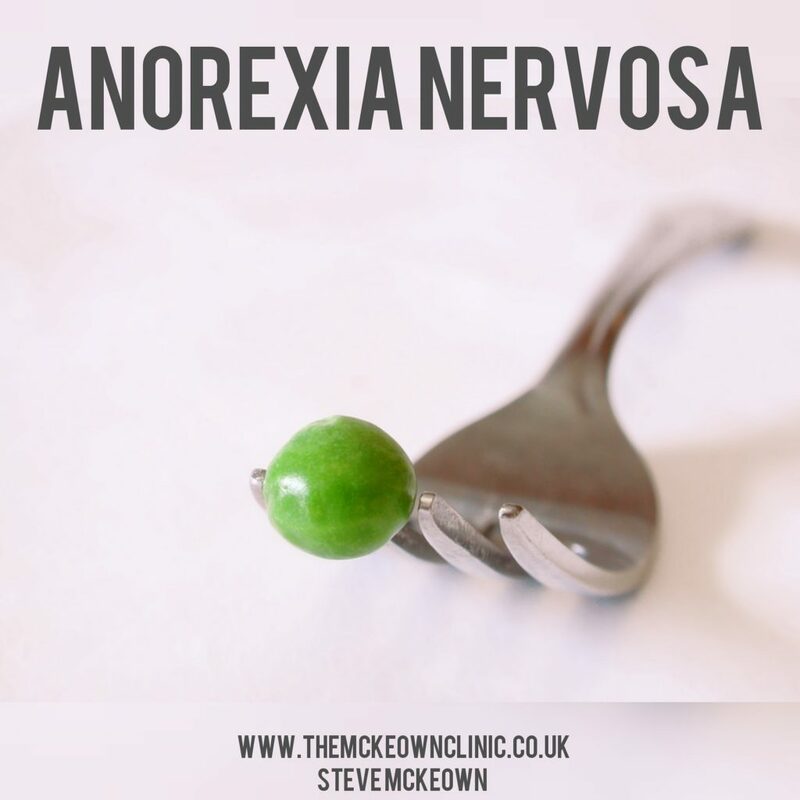 Anorexia Nervosa is a far too common neuropsychological disorder that is way too often dismissed as an ‘eating disorder’. It goes way beyond the boundaries of this as suffers can develop numerous addictive traits and actual phobias which relate to food and their belief that they are fat. It has hit the headlines many times due to celebrities such as Karen Carpenter and Lena Zavaroni dying from the devastating effects to the health caused by Anorexia. Those suffering from Anorexia develop an inaccurate perception of their own physical appearance and see themselves in a completely different light from everyone around them. Despite what the scales see they perceive themselves as fat and often ugly. This is hugely complex disorder whose roots come from a multitude of interrelated factors. In the past Anorexia was seen as a physiological disorder, but due to much research and study we know now it is based on neuropsychological dysfunction. Environmental factors play a key role in a person developing anorexia, and those who don’t adapt to the ideals and requirements imposed on us by society are particularly susceptible to the disorder. In other words, sufferers cannot stand the fact that they do not match the profile of the perfect body they believe society dictates to us, and develop the obsession to match that ideal. There is no set criteria for those who develop anorexia but statistically it is young girls who are the most likely to become anorexic due to the changes the physical and psychological changes which occur during puberty. Depression, emotional insecurities and a low self esteem go hand in hand with anorexia, and research has also shown that genetic factors can play a part. Studies show that there is very often a family history of anorexia, which some scientists believe cements the theory that there is a fault in the neurological make up of a suffer that is passed down through their DNA. Nevertheless, there are other who develop anorexia with no family history, and the number of in cases are still rising. While both sexes can develop anorexia, there is much higher incidence of the disorder in females. While the highest number of cases occur in adolescents, sufferers can be of any age; from young children to adults. The fact is it so widespread, and that there are key factors in some sufferers which don’t exist in others, is what makes it so difficult to treat, and for every 10 people who overcome anorexia there are 3 that don’t……. There are no set rules for the treatment of anorexia due to the complexity of the factors involved in it. Many families still make the mistake of trying to help the sufferer themselves using such methods as force feeding. Evidence Based Psychotherapy is now accepted as a must in the treatment of anorexia, as is love and support from those around them. It is in the latter category that many anorexics are let down, and all the psychiatric help in the world means nothing if they don’t have a strong support network, and unfortunately that is not something you can get on prescription. Do you have Emetophobia? The fear of being sick!